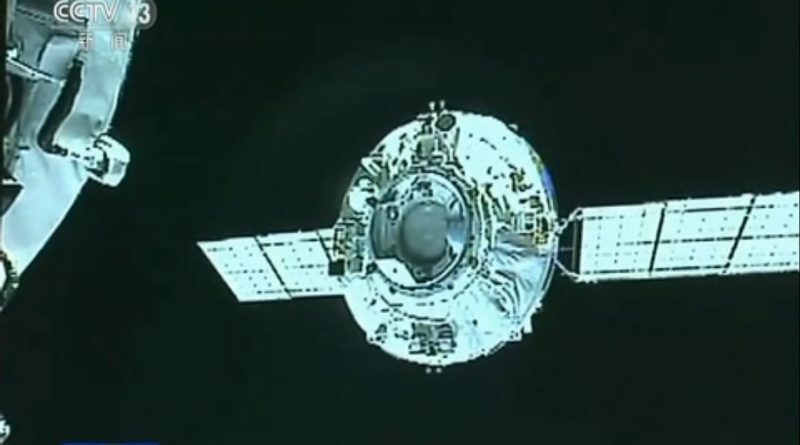 China’s Tiangong-2 space laboratory and Tianzhou-1 cargo spacecraft spent five hours apart on Monday in a deliberate maneuver to undock the resupply ship and fly it around the ‘Heavenly Palace’ before bringing it back for a re-docking maneuver as an exercise for future spacecraft approaches to the Chinese Space Station that will see regular crew and cargo traffic once opening for business. Tianzhou-1, conducting a critical orbital logistics demonstration, launched atop a Long March 7 on April 20 and completed a fully automated rendezvous & docking with Tiangong-2 two days after liftoff, forming China’s largest orbital complex to date with a total length of over 20 meters and a mass approaching 20 metric tons. 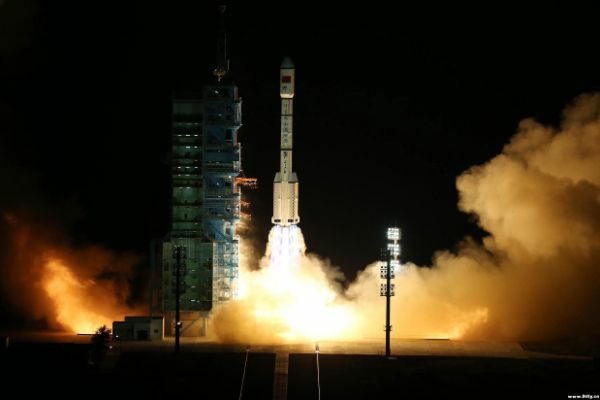 Over the last two months, the two spacecraft remained firmly attached to one another and Tianzhou-1 carried out a pair of refueling tests to demonstrate this critical ability for China’s upcoming modular space station which will require periodic refuelings for attitude and orbit maintenance. At 1:37 UTC on Monday, mechanical hooks were opened and springs pushed the two spacecraft apart for the brief free-flying and re-rendezvous exercise. 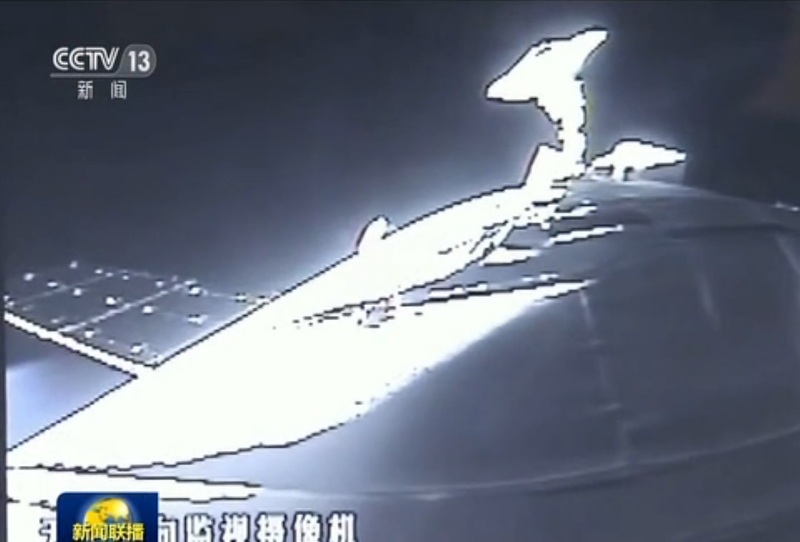 One unique aspect of the operation was that both vehicles were in an active mode – Tianzhou-1 was tasked with a retreat and 180-degree flyaround of Tiangong-2 and the space laboratory itself had to make a 180-degree yaw maneuver to keep its docking port aligned with TZ-1. After undocking, Tianzhou-1 moved out to a distance of 5 Kilometers where it stopped for 90 minutes, using a radio-and-laser guided navigation system to judge its relative rate and position to Tiangong-2. 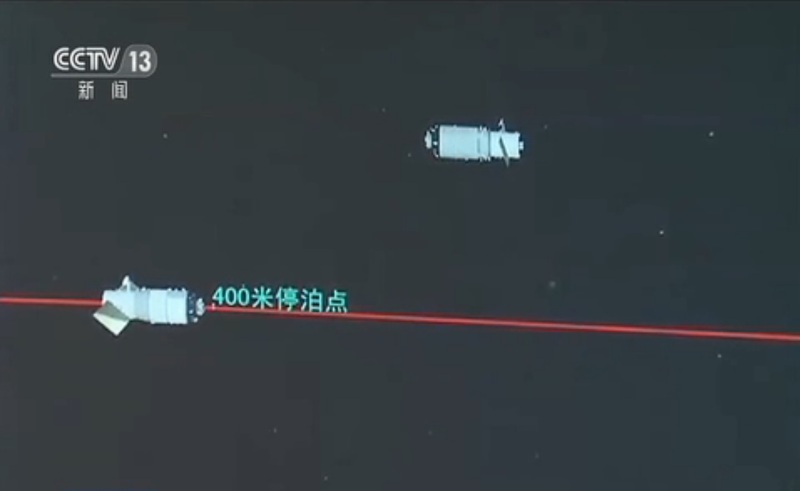 Once both craft were facing each other, TZ-1 fired its thrusters to begin a methodical approach with hold points at 400, 120 and 30 meters followed by a final straight-in approach culminating in a smooth re-docking at 6:55 UTC after the two craft spent five hours and 18 minutes apart. 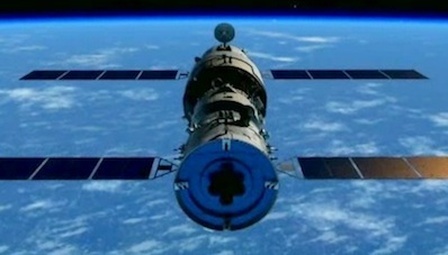 The primary focus of Monday’s orbital ballet was to demonstrate a flyaround that would be needed for a docking to a radial module of China’s future space station – a novelty for Chinese space operations as the Tiangong-1 and 2 spacecraft only had axial docking ports. Flyaround maneuvers have been a standard part of Russia’s repertoire, enabling arriving vehicles to dock to radial modules without the need for re-orienting the target spacecraft; the U.S. Space Shuttle also used flyaround maneuvers when departing the International Space Station. The second docked stay of Tianzhou-1 is not expected to be as long as the first stint as the two craft will be headed their separate ways for a three-month free flight during which both will be tasked with a series of scientific activities. 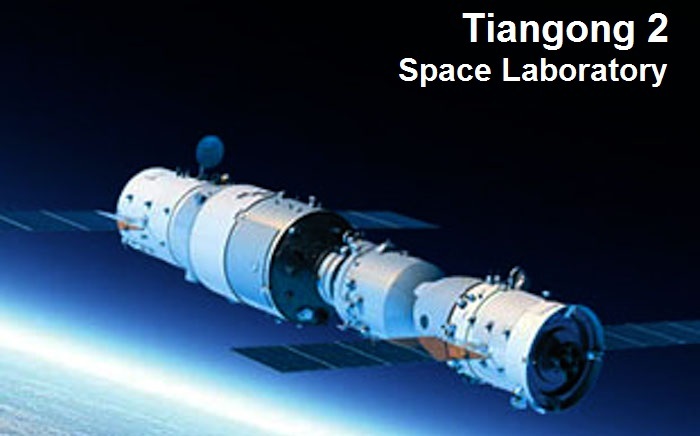 Tiangong-2 hosts a number of Earth and Space Science instruments on its outside as well as technology demonstrations within the laboratory. 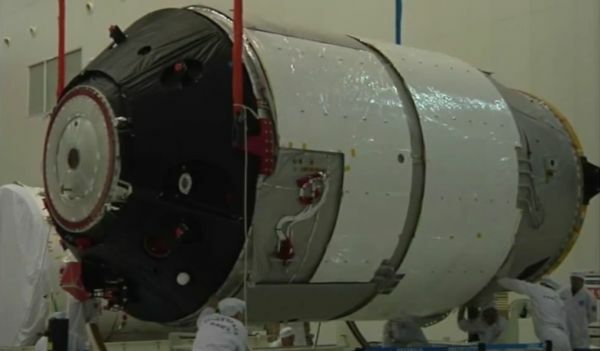 TZ-1 has a number of internal science payloads completing studies in different fields and the vehicle carries a small CubeSat that is to be released during the mission. 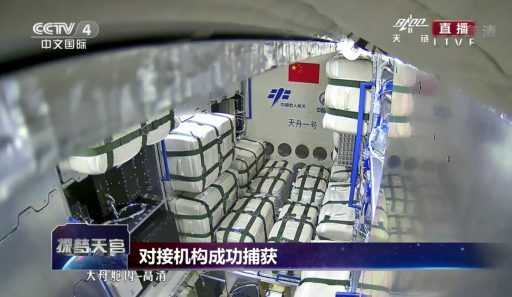 The three-month free flight will end with another approach of TZ-1 to the Tiangong-2 complex using a trajectory that could enable a six-hour launch-to-docking profile for future Chinese crew and cargo missions. When the craft’s five-month mission comes to an end, Tianzhou-1 will fire its engines for a targeted deorbit burn to set up destructive re-entry over the Pacific Ocean. Science payloads aboard Tianzhou-1 explore the physics of fluid phase change mechanisms in the absence of gravity, test out a high-precision electrostatic accelerometer, examine the characteristics of non-Newtonian gravitation and support the development of an innovative medication that could reduce bone loss encountered by astronauts in space and help treat bone-loss diseases on Earth. A highlighted science payload that has been active aboard Tianzhou-1 is a Cell Bioreactor that is holding 15 different cell cultures including embryonic stem cells, liver stem cells, osteoblasts and bone cells. The experiment employs two reactor modules and a fluorescent microscope unit that delivers imagery of the cell cultures to the ground to provide insights into changes caused by exposure to the microgravity environment. 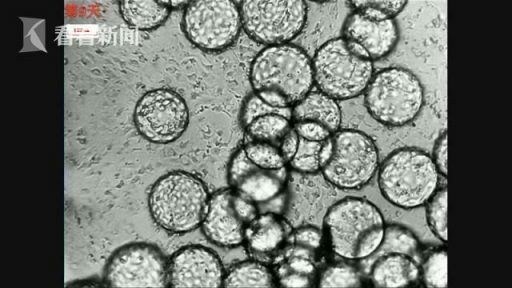 The embryonic stem cells were monitored for 30 days to study how they evolve into germ cells in the absence of gravity. Another experiment within the bioreactor studied how stem cells differentiate into cells with different functions. Stem cells offer great promise in a wide area of regenerative medicine and therefore have been the focus of many scientific studies including space-based experiments aboard the International Space Station, China’s Shijian-10 recoverable satellite and Tianzhou-1. In space, cell cultures can spontaneously grow in three dimensions which is of great value to science as it is more representative of how cells grow and function in living organisms (as opposed to a mostly 2D cell culture in a petri dish under normal gravity).